Low and wide Arteon aims high for Volkswagen. 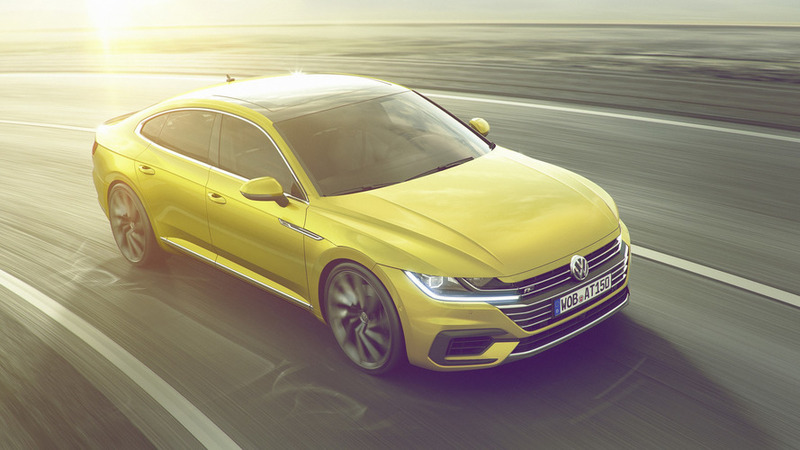 While the slick new Volkswagen Arteon isn't scheduled to arrive in the U.S. until sometime in 2018, our colleagues at Motor1-UK were given an early shot at the company's new flagship. 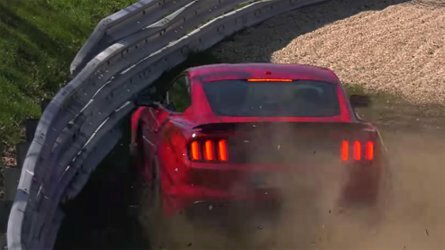 Stay tuned for a U.S.-spec drive in the coming year. Don’t mention the CC – Volkswagen says the Arteon isn’t a replacement for this svelte sedan. 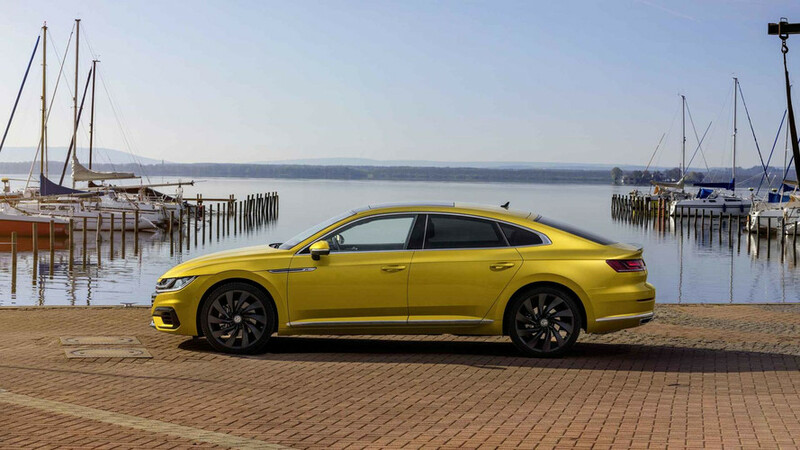 Although, the Arteon fills something of the same brief, being very obviously a design-led statement, with rakish lines and that misnomer nomenclature of being a ‘four-door coupe’. It’s bigger than the Passat though, some two inches longer in wheelbase, the Arteon looking and feeling more Audi A6 in its dimensions, which is very deliberate. That’s because Volkswagen in aiming high with it, as in, into new territories. 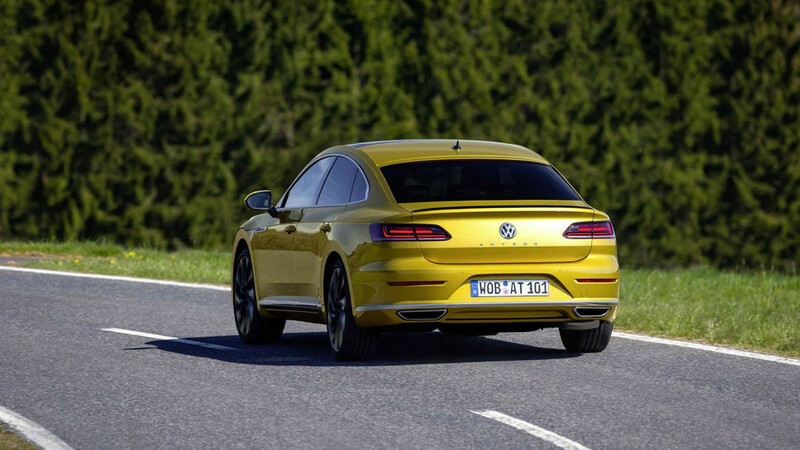 This is a VW that very clearly sees the BMW 4 Series Gran Coupe and the Audi A5 Sportback as key rivals. 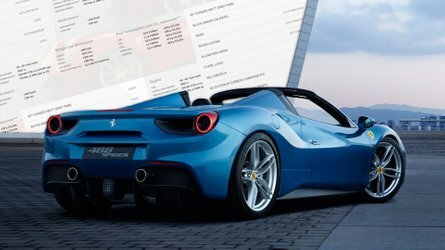 Strong competition, both of which immediately start with the clear advantage of coming with recognised, upmarket premium badges. Not that there isn't strength in VW’s brand – it's always been able to position itself a bit higher than the mainstream norm. But that’s some heavy-hitting status it’s competing with, so the Arteon needs to fight its corner very convincingly indeed. 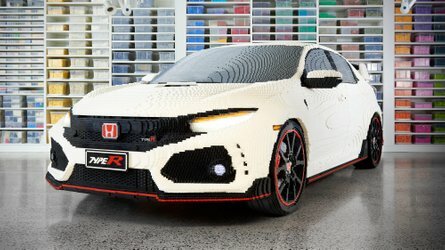 We’re in it relatively early, pricing as yet unconfirmed, though the talk is of around £38,000 for the entry-level model at launch. That’s a lot, even factoring in the powerful engine choices, seven-speed dual-clutch transmission, and inevitable huge standard equipment VW is likely to offer it with. Two trim levels will be available when it arrives in the U.K. later this year, the R-Line with its more sporting demeanor, or the Elegance, which dials back the assertive looks of that R-Line a touch, adding some chrome and more comfort-biased equipment. Nobody can accuse Volkswagen of not going all-in on the styling. As bold a VW as we can remember, the Arteon is certainly a head-turner. Proportionally it’s low and broad, the effect at the front exacerbated by the grille that neatly joins with the LED driving lights. 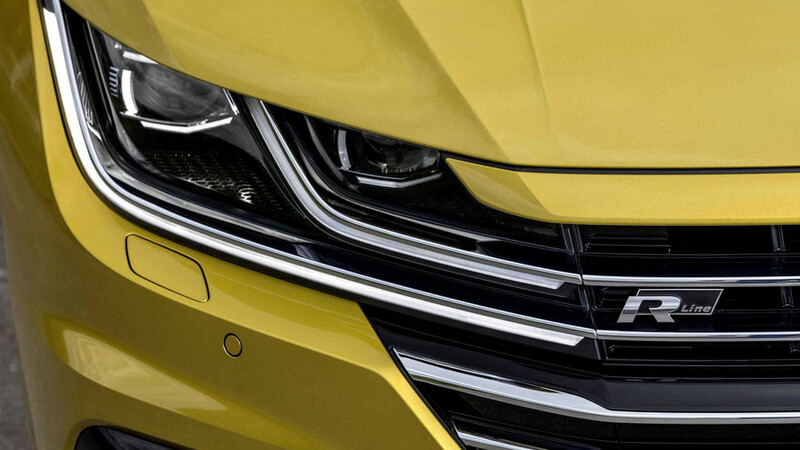 The headlights look deeply cowled – the Arteon, even in its less overt Elegance trim asserting a confident nose among the traffic. That effect doesn’t end there, either. 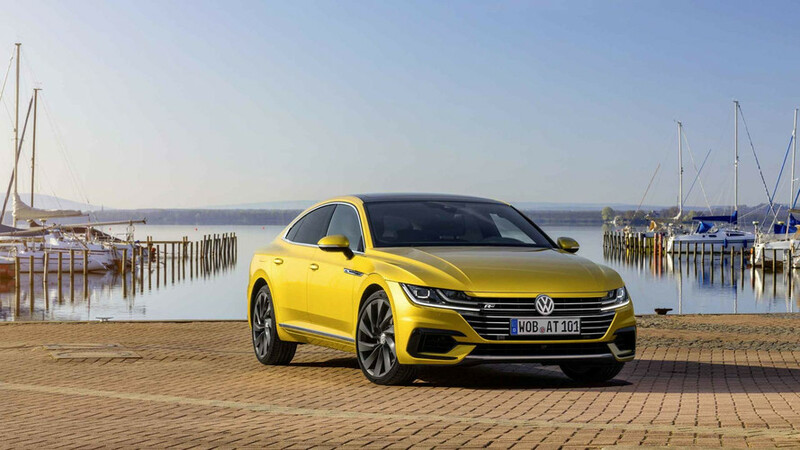 Sharp lines run up the vast hood and along the Arteon’s flanks, while the pillarless doors and tight windows above create a shape that’s svelte and striking, the arches certainly needing the 20-inch wheels to fill them convincingly. Nobody can accuse Volkswagen of not going all-in on the styling. 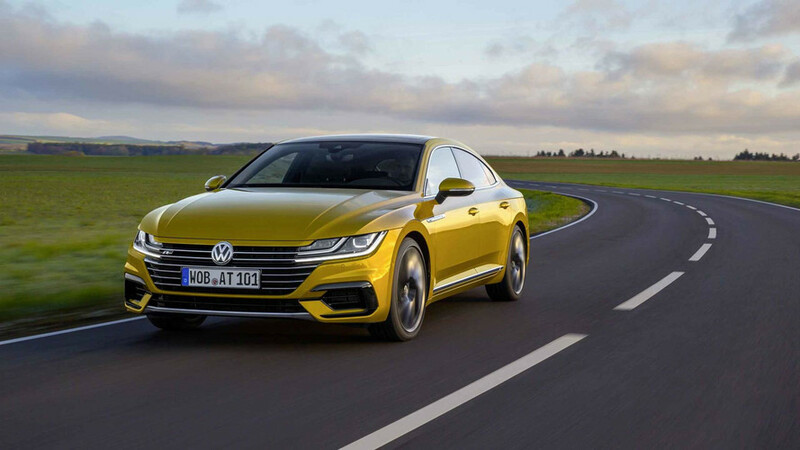 As bold a VW as we can remember, the Arteon is certainly a head-turner. For all its rakish looks the Arteon is practical – that longer wheelbase is for the benefit of interior space, while the trunk isn’t just sizeable, but it’s accessed by a wide-opening hatchback. If we’ve one criticism, it's that in some areas the design is a bit busy, but then if the intention is to get it noticed VW can consider it a job well done. 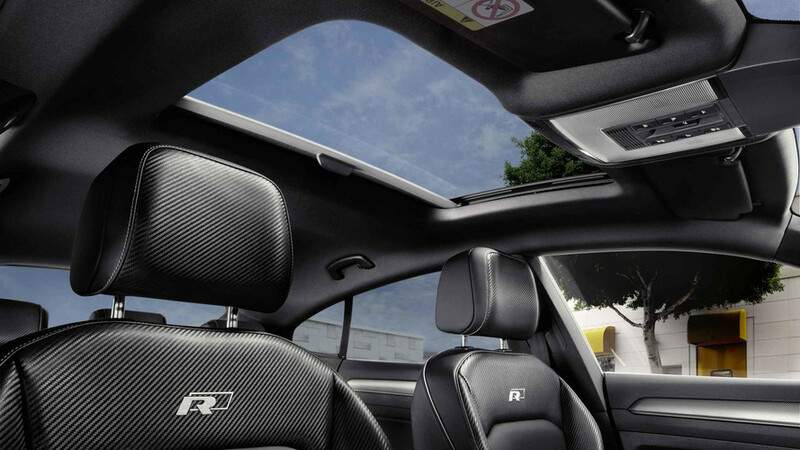 The cabin mixes Volkswagen’s usual high standard of fit and finish with fine material quality and operational simplicity. 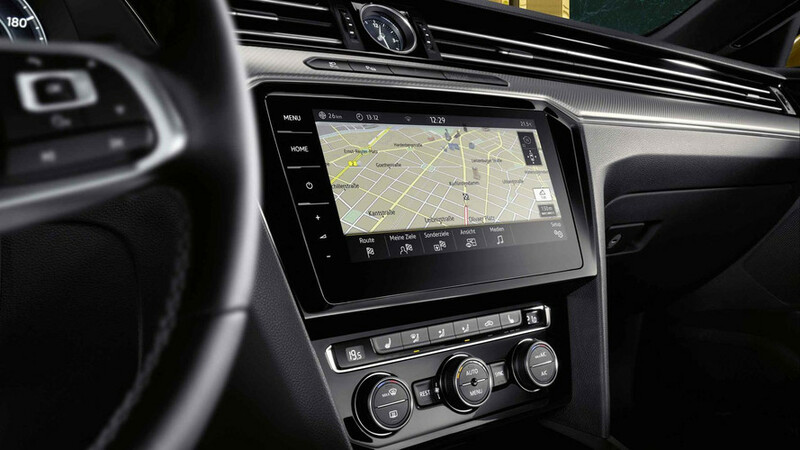 There’s plentiful equipment, as befitting VW’s upmarket aspirations with the Arteon, the dashboard instruments all digital and configurable, while there’s a touchscreen navigation and entertainment system with all the latest connectivity, too. VW has increased its safety and driver assistance offering, the Arteon debuting the company’s latest tech, that’ll ease your drive and potentially save you from having an accident, wandering out of a lane or, if you’re incapacitated in any way, pull you over to the side of the road safely. 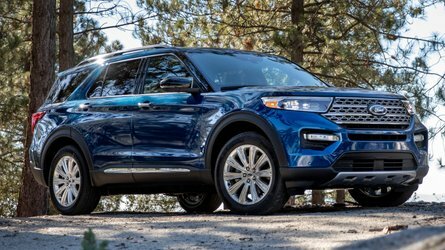 What impresses inside is the feeling of space – there’s loads of head- and legroom front and back, the glass area in the rear stretching behind the rear seats, giving a real airy feel back there despite the tapering roofline. The engine choices at launch (in the U.K.) will be limited to a pair of 2.0-liter units of differing outputs. One is a turbodiesel with 240 horsepower, the other a twin-turbo gasoline four-cylinder with 280 hp. 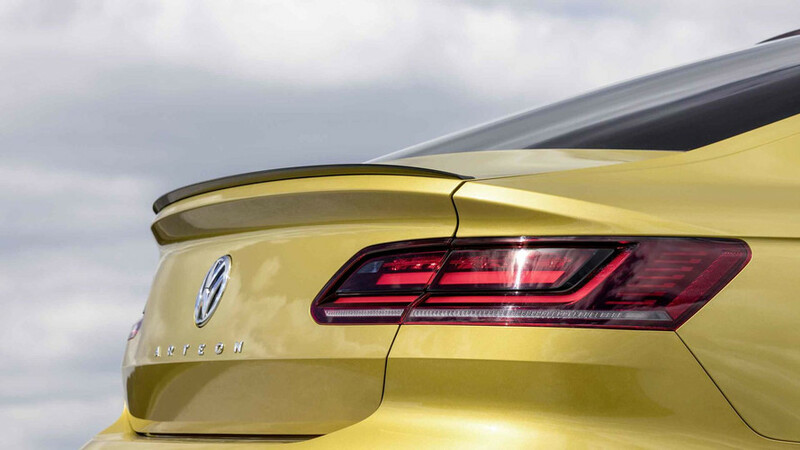 Those high-power engines define the Arteon’s upmarket intent. There's discussion from Volkswagen of a wider range in time, but until the German manufacturer has tested the marketplace it’ll stick with the big engines. 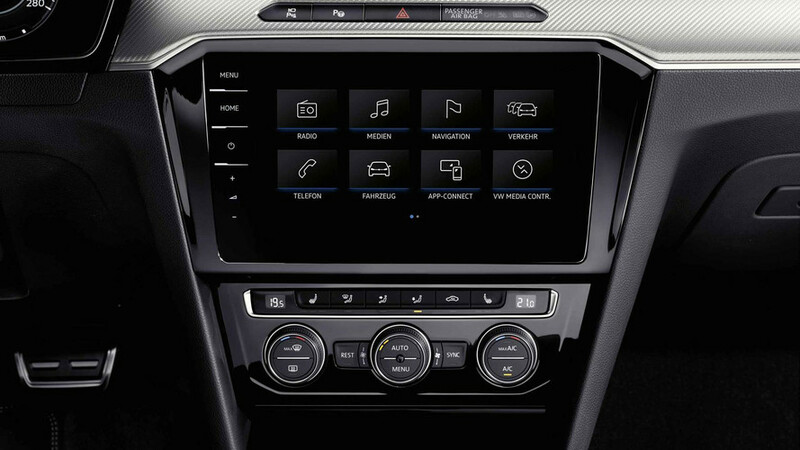 Both come mated to a seven-speed DSG transmission and 4Motion all-wheel drive, while the adaptive suspension gives a variable choice of options via a slider bar on the touchscreen in the center of the dash. 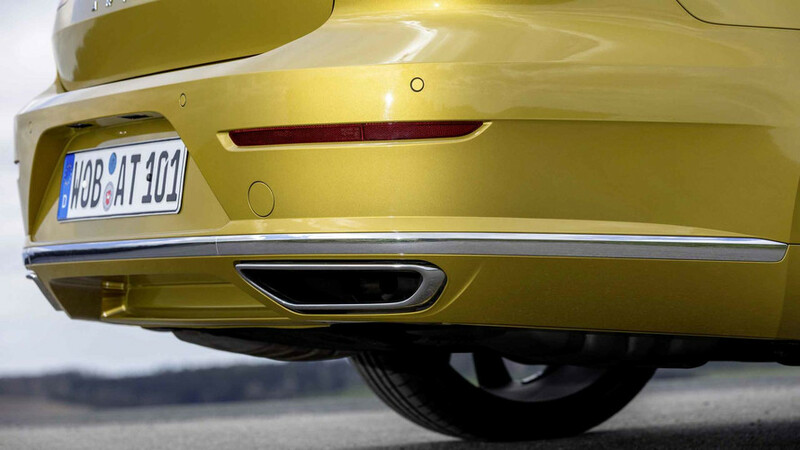 Volkswagen’s chassis engineers are quick to point out that the Arteon was developed from the very beginning to ride on large 20-inch alloy wheels, and for the most part it’s good. 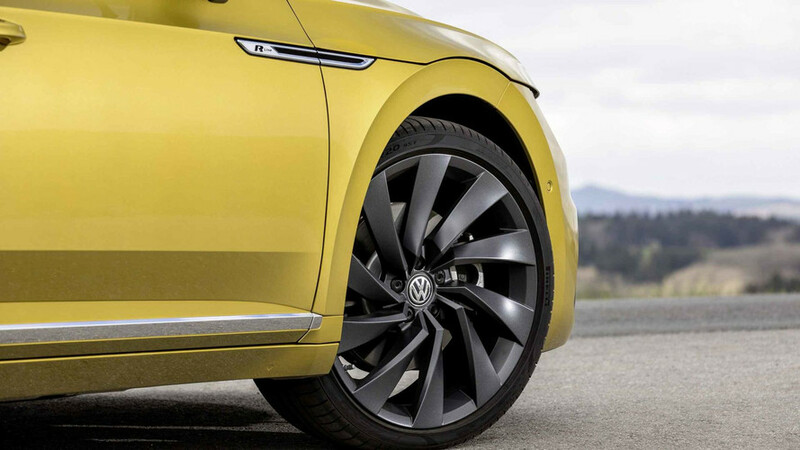 Volkswagen’s chassis engineers are quick to point out that the Arteon was developed from the very beginning to ride on large 20-inch alloy wheels, and for the most part it’s good. We’d default to the Comfort setting, though, as selecting anything above that does result in some unwanted frequencies and knocks from less than perfect surfaces, even that Comfort setting sometimes troubled by lumpy tarmac. Blame the R-Line’s slightly sportier suspension settings here. It’s never really unsettling, but the tautness is slightly at odds with its otherwise relaxed gait. The turbocharged gas engine delivers performance, which, on paper, looks very impressive. 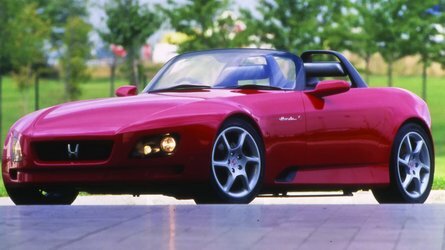 It’ll reach 62 miles per hour in just 5.6 seconds, but you do have to rev that 2.0-liter pretty hard to do so. It’s all rather unbecoming for something so big and luxurious. The 2.0-liter TDI offers a lower output, but its more abundant low-rev torque delivery is arguably more in keeping with the Arteon’s dignified demeanor. The seven-speed automatic transmission helps here, shifting with a speed and decisiveness that makes the paddles on the steering wheel for self-shifting all but redundant. Traction levels, thanks to that 4Motion all-wheel drive are never in question, grip levels too being high – though there’s precious little engagement behind the wheel, which when you list a BMW 4 Series among your rivals could be an issue. It’ll get you down a road with ease then, which is perhaps the point, but we can’t help but think it could do so with a little bit more flair. 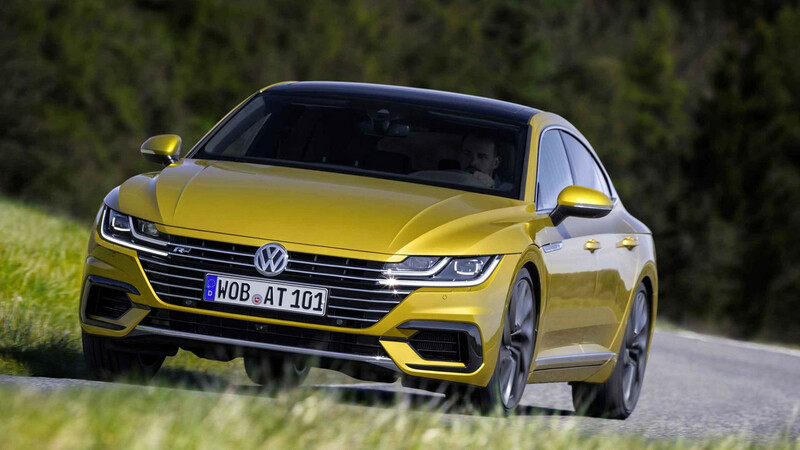 It’ll be a brave buyer who walks past the plate glass showrooms of BMW and Audi and into the Volkswagen dealer to place an order for an Arteon. Not least as it really takes the firm into unknown territory, even if for the customer there's the promise of plentiful equipment, good space, striking looks and, more than likely, a degree of exclusivity. 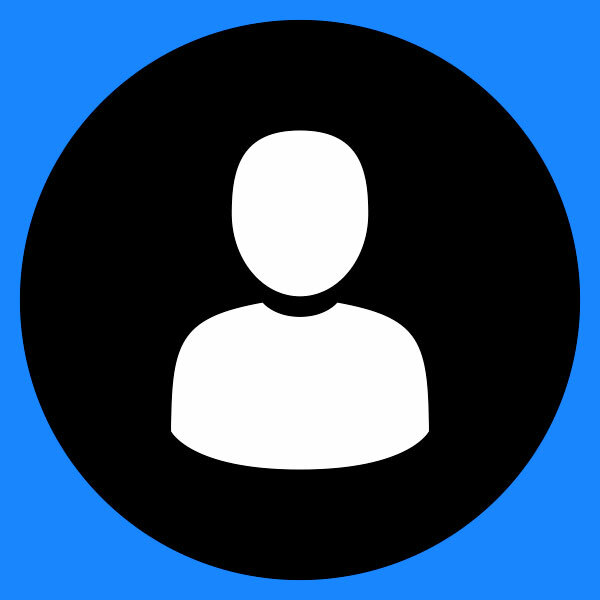 Yes, it’ll show you’re prepared to carve your own niche, but at what potential cost? The CC that the Arteon most definitely doesn’t replace was a little bit easier to justify, representing a more elegant take on a mainstream model (Passat) for a small increase in outlay. 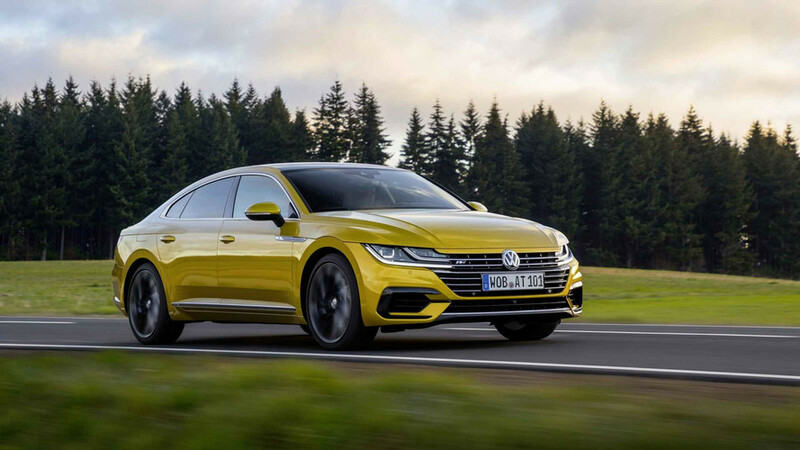 The Arteon takes a different approach by directly targeting the premium players, and good as it is, it might be aiming a bit too high to make any real impact against such established, and formidable premium competition.